What a wonderful treat. This album takes me home to my father’s Macedonia Christian Church in Okeana, Ohio, and lets me relive the “good ole songs”. Each hymn is a memory beautifully sung and played. Just try to listen and not tap your foot on most of them. On the rest, just sit back and enjoy. 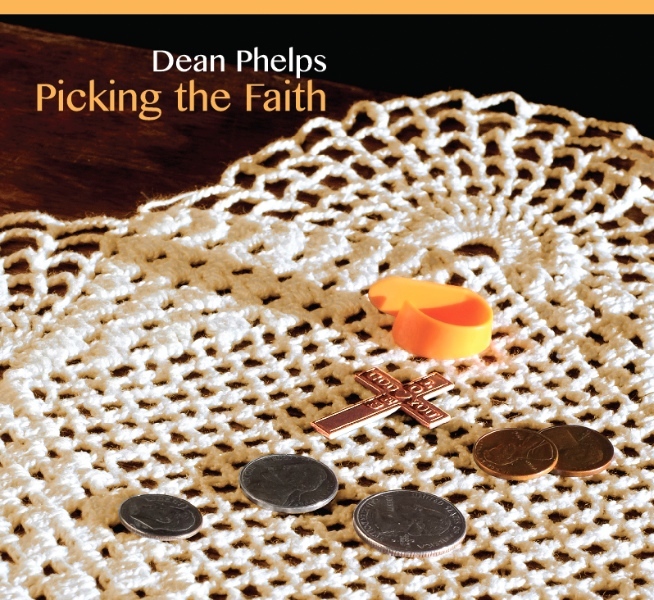 Fourteen tracks of hymns and gospel music make up Picking the Faith. Several stellar acoustic musicians appear with Dean on Picking the Faith. Scott Nelson of Flatland Harmony Experiment plays bass, and Holly Garrett of Patchwork adds fiddle. Nelson and Garrett also contribute harmony vocals. The Champions’ Marty Price gives a couple of dobro performances that are downright tasty. Boyd Thaxton of Circle City Bluegrass brings the mandolin to several tracks. Ted Yoder lends his unique dulcimer flair to two tracks, and Jim Eads sets the pace on drums. The CD features The Champions–Brian Keith Wallen, Ted Yoder, Marty Price, and Dean–playing the Stephen Foster song, Hard Times Come Again No More, as a bonus track. It is not available as a digital download.